Make your flower girl feel like a princess! This Flower Girl Basket package comes with 1 litre of confetti which is enough for about 10-12 handfuls (or 20 for a little flower girl). All our confetti is natural, biodegradable and 100% gorgeous! 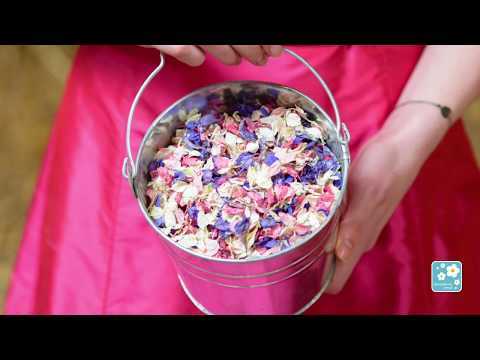 Perfect for your flower girl to scatter petals along the aisle. This package arrives to you with a 1 litre bag filled with your choice of confetti, and a beautiful small wicker basket. Basket measures 22cm (length) x 18cm (width) x 18cm (height including the handle).